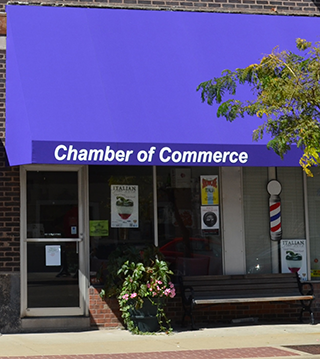 Since 1928, the Collinsville Chamber of Commerce has spearheaded major efforts to enhance the community and increase its attractiveness as an important place to live, play, invest and do business. We offer opportunities for our members to grow their own businesses while helping the community put its best foot forward. To promote, support, and represent Collinsville area businesses and community interests. To make Collinsville a great place to live and do business. Are you ready to join and be a part of the Collinsville Community? To join the Chamber visit our Membership Information Page. International Horseradish Festival is held the first weekend in June - NOW ON MAIN STREET! Our 350 members really believe in our community and our efforts are paying off every day. The Collinsville area is now known for its progressive attitude, preferred location, great real estate market and significant new growth. By investing time, energy and talents into the future of Collinsville, the Chamber and its members are moving the community forward with balance and pride. Monday - Friday from 9:00am until 5:00pm.